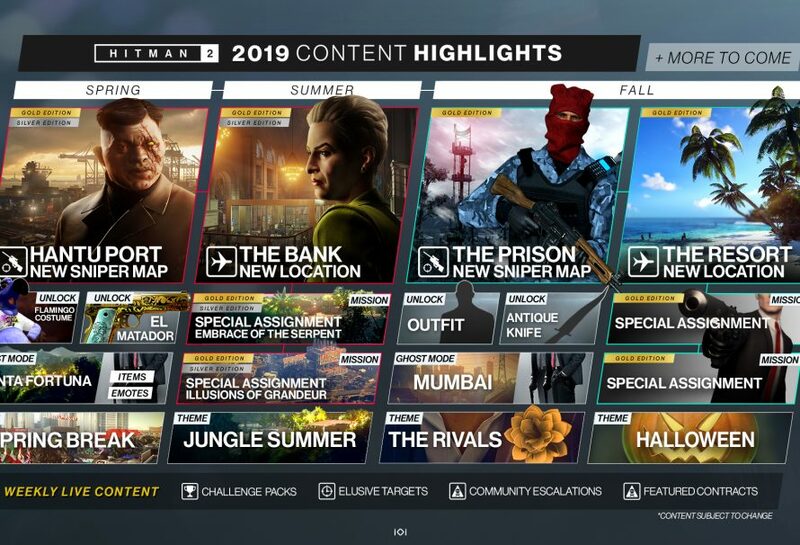 Warner Bros. Interactive Entertainment and IO Interactive announced today that there will be more content coming to Hitman 2 this year as they release their latest content roadmap today. Fans who still play Hitman 2 can look forward to a plethora of new content such as new locations, new missions, new sniper maps, new unlocks, and the Ghost Mode locations. Both base game and Expansion pass owners will have something to look forward to, though if you bought the expansion pass, you will be getting the premium content. Hitman 2 is available now for PlayStation 4, Xbox One, and PC via Steam.